ICmed activates the patient-family-caregiver team in collaboration with the doctor care team to drive patient engagement, resulting in heightened quality of care, improved medical outcomes and reduced costs. We accomplish this using your existing infrastructure. 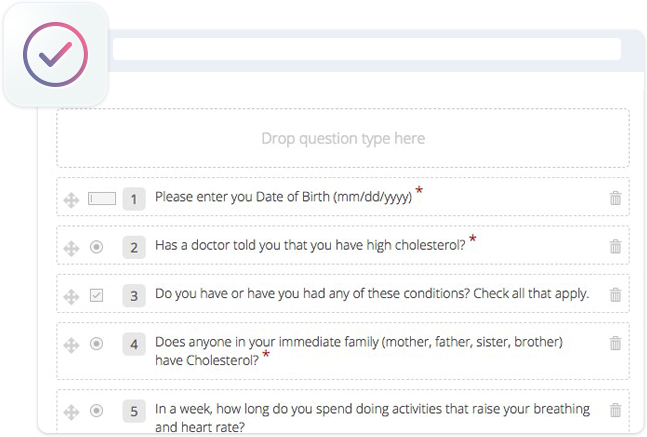 With ICmed you have access to a library of standard surveys that can be used to assess patient and family behavior, health status and satisfaction. 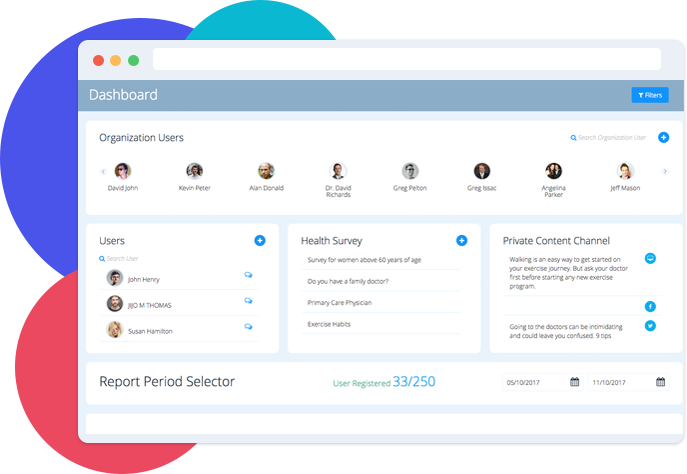 You can also easily edit existing surveys and create new surveys that are most appropriate for your organization's target population. As the patient and members of their Core Care Team input information about the patient's health into ICmed, this information is then used to aid in understanding the patient's health progression. This information can also be used to alert members of the patient's Core Care Team to take appropriate action to help in improving patient behavior. 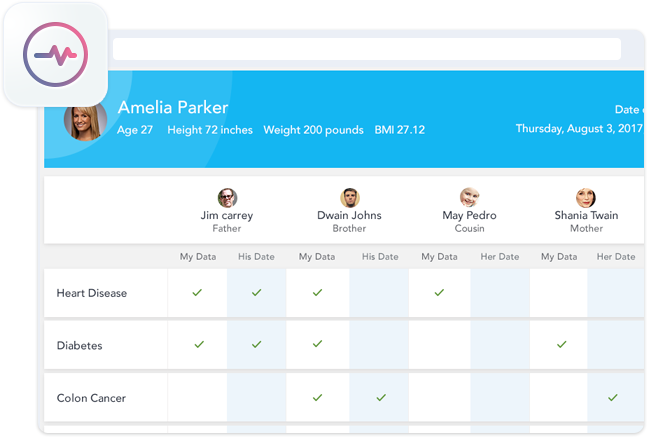 Collection of patient data wouldn't be complete without the ability to automatically collect information from medical devices and the EMR used by the patients health institution. 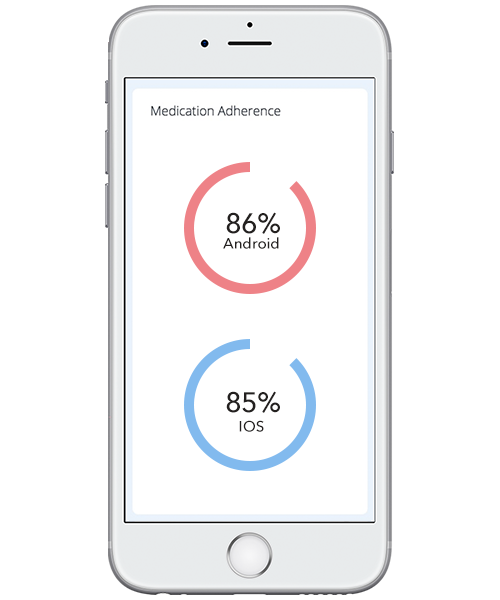 ICmed allows for easy collection of data from a wide variety of medical devices through a single, standard API. 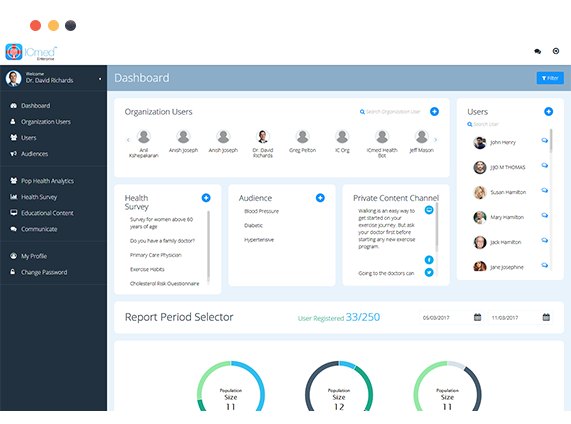 ICmed also has the ability to integrate with many of the most popular EMRs on the market. Engage with your most vulnerable populations immediately. 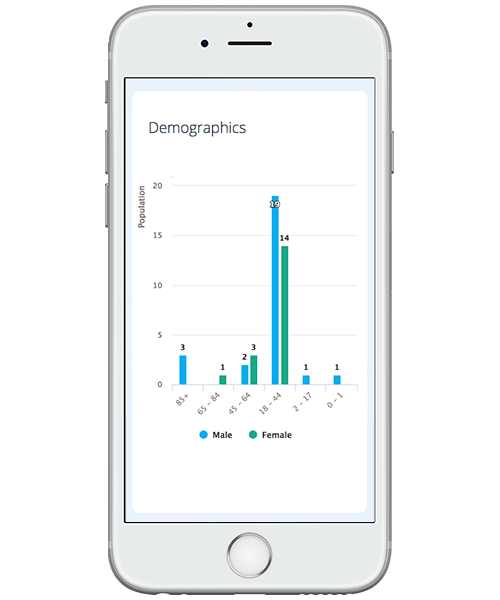 Target your communications with automated outreach to selected demographics. 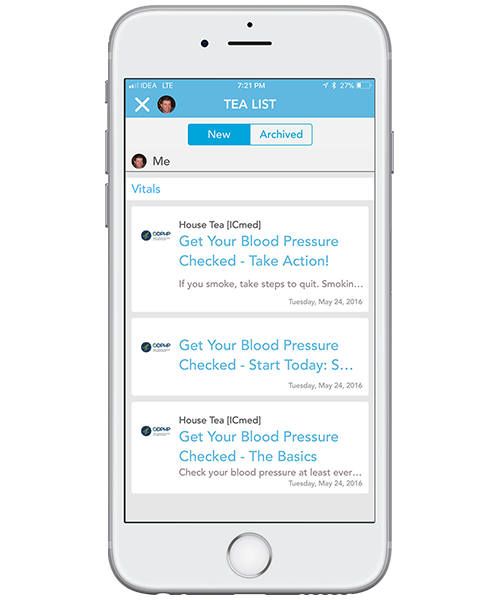 Activate family and caregiver teams by a tiered and escalated alerting system, automated push notifications, text, e-mails and group chat features. 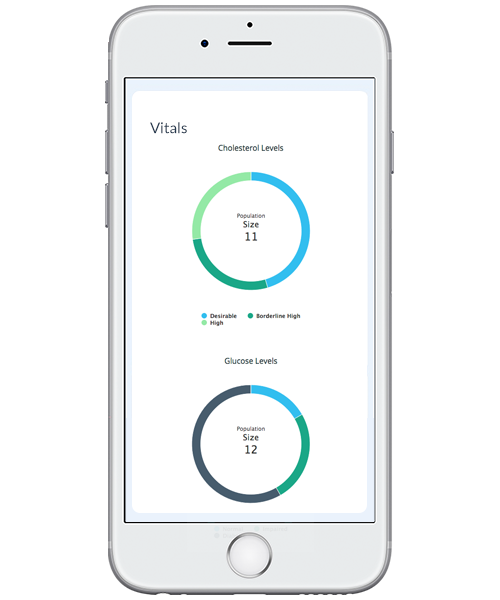 TEA content is educational content that is pushed into the ICmed application and distributed to ICmed users who fit a specification health profile – like those that are diabetic, or have heart disease. TEA content is always specific to the user it is delivered to and is provided by a reputable source. 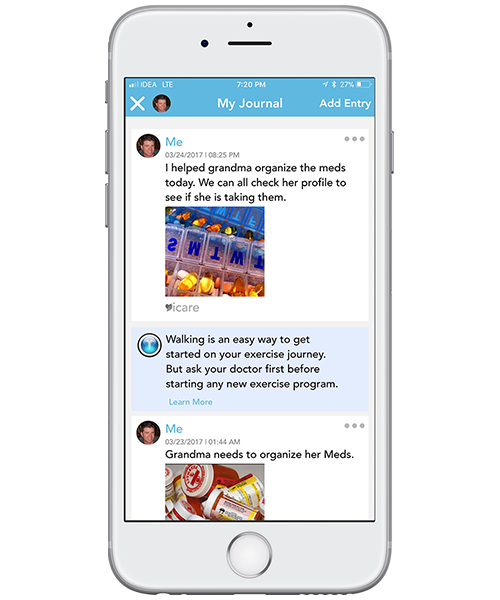 Patients can use their private journal to keep notes about their health and questions for their doctors.They can also grant access to their journal to friends and family members so that they can easily collaborate together to achieve their health objectives. 97% of American adults text weekly. We are familiar and comfortable with this model of commmunication. 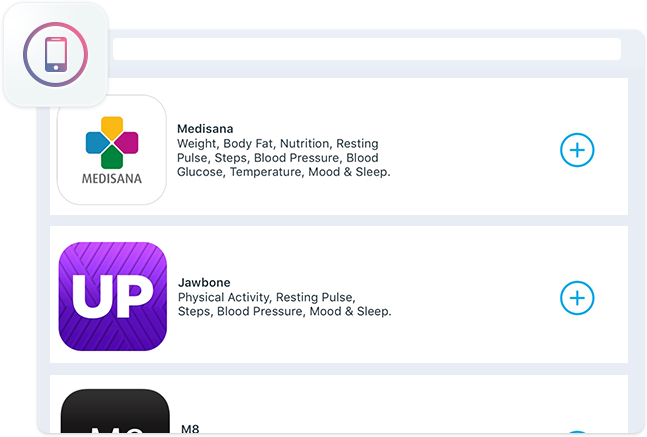 ICmed provides the patient and those intersted in improving the patient's health, the ability to use text messages to become better informed, collaborate, and motivate better health behavior. 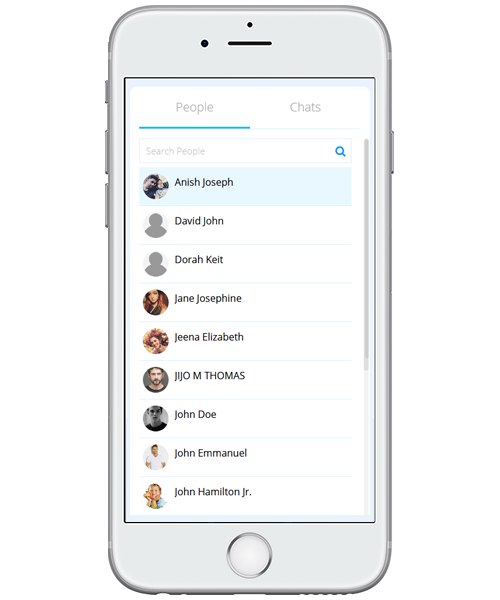 Text messages reside in an ongoing thread that allows those involved in the conversation to always maintain the context of the conversation.